Bookworms, Librebook is your meeting place! 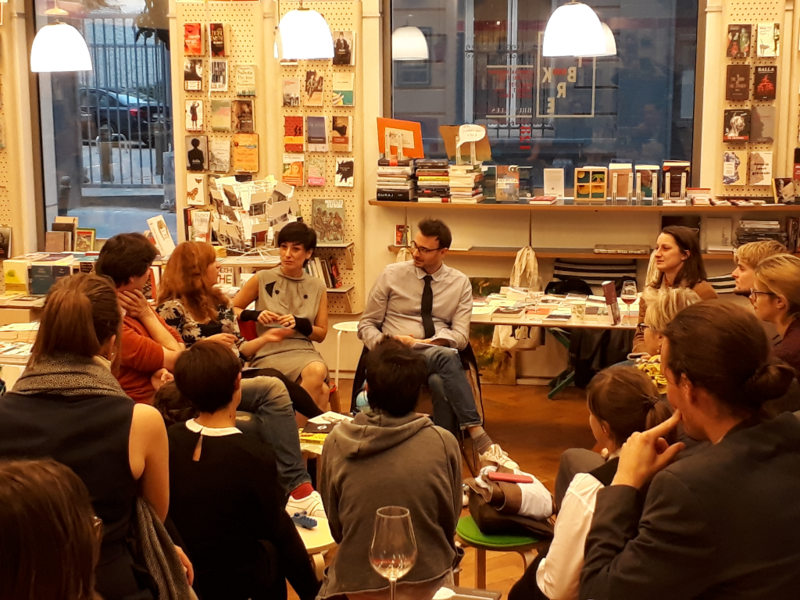 Here, you have the possibility to actively engage as part of a growing community of enthusiastic and concerned readers, writers, translators, publishers and more, who share a common passion for book tripping contemporary European societies across language and cultural borders. Librebook warmly invites you to share your literary enthusiasms and cooperate with others among our community of like-minded partners and friends. And make sure you talk to us if you’re looking for a cosy place to host your literary and creative activities: nothing pleases us more than seeing our bookshop buzzing with conversations around books ! Have your say, cooperate with others or tell us about the activities you’d like to organise at the bookshop.